73 years ago. The first atomic bomb was dropped on Hiroshima “A Military Base” according to Harry Truman. The collateral damage concept had yet to be defined. 100,000 civilians were killed in the first seven seconds of the explosion. The dangers of nuclear war are not an object of debate and analysis by the mainstream media. Public opinion is carefully misled. ” All options on the table”. Nuclear weapons are portrayed as peace-making bombs. Did you know that tactical nuclear weapons or so-called mininukes with an explosive capacity between one third and six times a Hiroshima bomb are considered, according to scientific opinion, on contract to the Pentagon as “harmless to the surrounding civilian population because the explosion is underground”. The US has a vast nuclear arsenal capable of blowing up the planet several times. Did you know that Hiroshima was a “military base”, and that when the first atomic bomb was dropped on two of Japan’s heavily populated area in August 1945, the objective was, according to president Truman was to save the lives of innocent civilians. “The World will note that the first atomic bomb was dropped on Hiroshima a military base. That was because we wished in this first attack to avoid, insofar as possible, the killing of civilians..”(President Harry S. Truman in a radio speech to the Nation, August 9, 1945). Unpunished crimes against humanity, “collateral damage”. To this date, the US government has not apologized to the people of Japan, nor has the mainstream media acknowledged that Harry Truman was a liar and a criminal. Truman’s July 25 diary entry (see above), suggests that he was not aware that Hiroshima was a city. Had he been misled by his advisers that Hiroshima was a military base and that it was ok to bomb, or was he lying to himself? Was he stupid and uneducated? Everybody in the high ranks of the military knew that Hiroshima was a populated urban area with approximately 350,000 inhabitants (1945). The complete text of the radio address entitled Radio Report to the American People on the Potsdam Conference is contained in the Harry Truman Library and Museum Public Papers of Harry S. Truman, University of Missouri. It should be noted that the reference to Hiroshima and the atomic bomb was mentioned by Truman at the very end of a long radio address largely focussing on Germany and the Potsdam Conference. It is worth noting that the US chose to drop the atomic bomb on Hiroshima at the height of peace negotiations in Berlin. 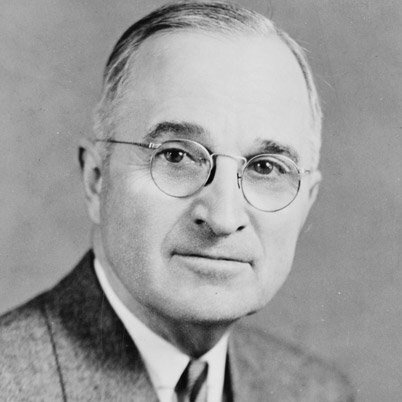 The second atomic bomb was dropped on Nagasaki upon Truman’s return to Washington. Support Truth in Media. Support the Worldwide movement against nuclear weapons. More than ever we need your support. The online search engines are intent upon undermining the independent and alternative media’s coverage of important world events.